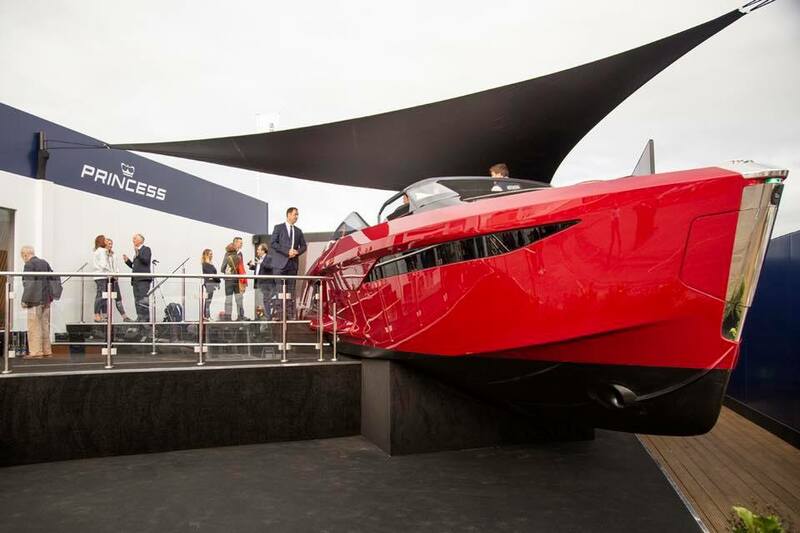 In September 2018, Princess displayed 14 stunning yachts at the Southampton Boat Show including three Show Premiere’s – the all-new revolutionary Princess R35 in striking red, the exhilarating V60 and the latest addition to the Flybridge range, the Princess F70. This was one of the largest display of luxury yachts at this year’s show, and one of our largest displays to date. With over 85 members of staff in attendance across the 10-day show, there was a real team effort to get all yachts in place and ensure everything was ready for opening day! The Princess pontoon was a sight to behold, with crowds of people lining up to see the 13 beautiful yachts on the water, whilst the R35 held pride of place elevated on the Princess stand with a jaw-dropping presence. The Princess R35 is the first of its kind for Princess Yachts, available in a variety of striking colours you’re sure to turn heads, that is if they can keep up with you at a high-speed of a staggering 50 knots. 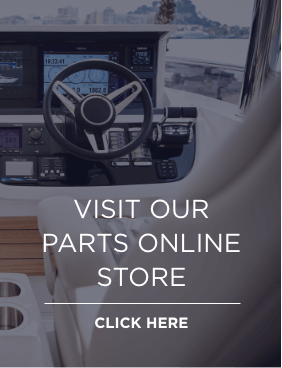 She had her World Premiere at the Cannes Yachting Festival in the week leading up to Southampton Boat Show, and with her introduction to the world, we have certainly had a great response from the public and the yachting world. The show, in all, was a great success with crowds joining us on the Princess pontoon to view our craft on display, ranging from the Princess V40: introducing flexible and spacious living to a yacht under 50ft, to the Princess 30M: luxury and quality combined in this contemporary yacht. Southampton Boat Show is our largest boat show for Princess Motor Yacht Sales to exhibit at, with over 100,000 visitors we aim to increase the quality of our craft on display year on year.